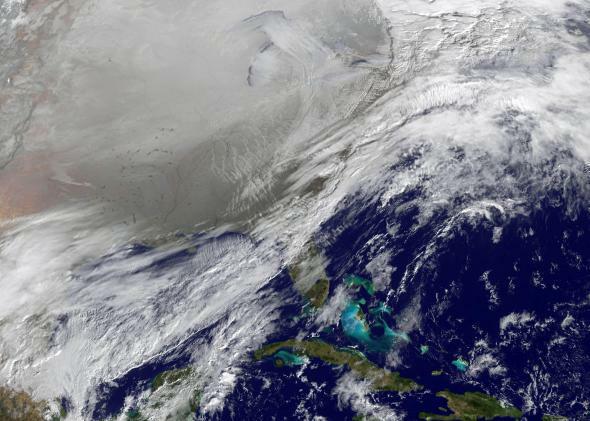 New study links polar vortex to climate change. As the last few days of summer linger, you’d be forgiven if you feel a wave of anxiety upon the inevitable return of crisp, cold mornings. There’s no two ways about it: Last winter, replete with polar vortexes galore, was brutal. And we may not have seen the last of them. New research published Tuesday in the journal Nature Communications attempts to track the polar vortex disturbances back to their source. The study, written by a team of Korean and American scientists, is the latest (and perhaps most comprehensive) attempt to answer a question that’s as hot as any in climate science right now: What’s the impact of melting Arctic sea ice on extreme weather? Through a blend of statistical analysis of recent weather and computer modeling of a world in which rapid Arctic ice loss hadn’t occurred, the study establishes a link between the warming ocean, melting ice, and weakened polar vortex. For the first time, the study also proposes an epicenter of action where years of extreme ice loss in particular appear to dominate this process: a remote part of the Arctic between Scandinavia and Siberia. I reached study co-author Seong-Joong Kim, a climate scientist at the Korea Polar Research Institute, by phone in a Seattle hotel room, where he was preparing to discuss his work with American colleagues at a conference devoted to extreme weather and Arctic sea ice. As strange as it sounds, Kim believes the intense cold air outbreaks in recent winters across Europe, Asia, and North America are, in his words, “a side effect of global warming.” Building on results released in the new paper and his interpretation of other researchers’ findings, here’s his best guess of what’s going on. Abnormally warm waters in the tropical Atlantic travel up the Gulf Stream toward Europe in the late summer and fall months, motivating exceptional sea ice melt in the Barents-Kara seas north of Scandinavia. When that area is ice free, the open water releases heat into the atmosphere during November and December, and sets up an anomalous blocking pattern over the Ural Mountains. 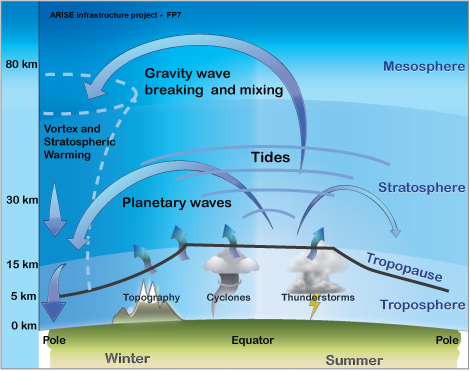 By midwinter, as more and more heat is being transferred to the Arctic, the troposphere and stratosphere can link up, destabilizing the polar vortex, weakening the jet stream, and sending waves of cold air southward. Call it a grand unifying theory of the polar vortex. Kim says each particular manifestation of the process he outlined will happen a bit differently. For example, Kim said the early 2014 cold air outbreaks in North America were funneled directly toward the central and eastern United States by an especially persistent blocking pattern off the West Coast. It may not happen that way every year, and at its heart, this is a primarily Eurasian phenomenon. After what Kim estimates was three years of work, his new study was submitted on Jan. 15 of this year, just days after the term captured the hearts and minds of millions of Americans chilled to the bone. This research was motivated by the longest lasting and most intense cold snaps on record in Korea, both of which occurred within the last 10 years. Kim’s study also cautions that the dramatic loss of Arctic sea ice is likely not the only factor in the recent destabilization of the polar vortex. Fluctuations in Siberian snow cover, as well as a host of other natural climatic oscillations have all been cited in other recent research. And despite the increased chances for intense cold snaps, winters on the whole are warming, especially in the Arctic. “This sea ice loss is related to anthropogenic effects,” Kim said.